Sydney Evan's set of three bracelets can be worn together, solo, or mixed with old favorites. 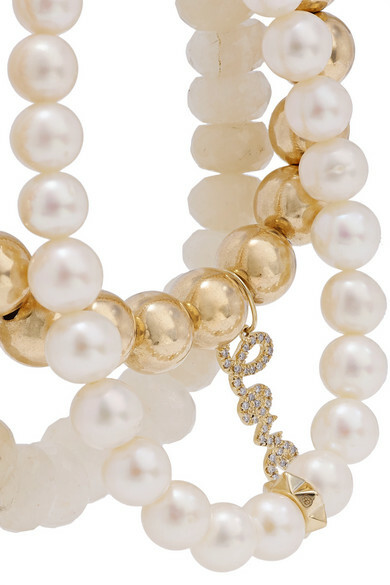 They're strung with faceted natural African rainbow moonstones, lustrous freshwater pearls and 14-karat gold beads, along with dainty charms and the the label's signature 'Love' motif encrusted with shimmering diamonds. Shown here with: Jacquemus Dress, Sydney Evan Necklace, Sydney Evan Ring.